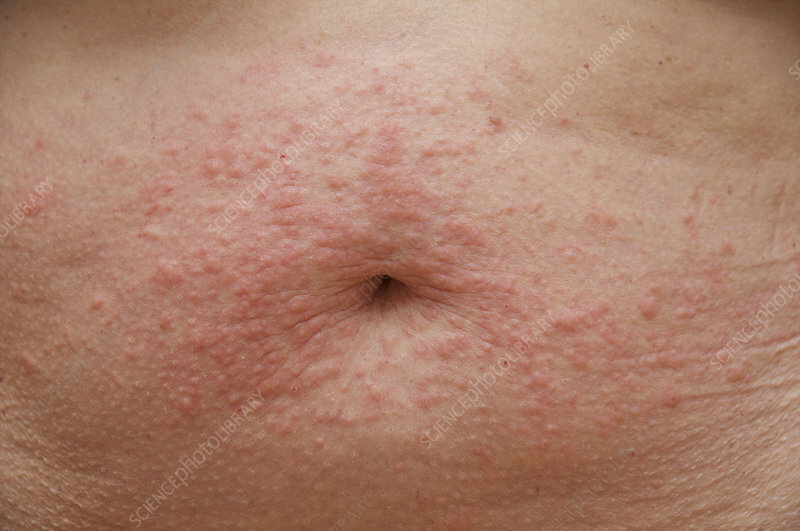 Polymorphic light eruption on a patient's abdomen. This condition, also called polymorphous light eruption (PLE), is caused by sunlight. It is thought to be due to an immune system reaction to allergens in the skin produced by the sunlight.